Back in late 2014 Honda announced a “standard” alloy wheel redesign and size increase across the CR-V lineup. looking around, we find the competition following suite. For me, the custom cookie cutter trend came full circle in 2014 during a sit down with Acura engineering as we discussed the benefits of sound deadening alloy wheel design, and what tire compounds could do; not only for a vehicle's handling characteristics, but to measurably increase fuel economy. In the case of TLX, Acura engineers had developed a tire rim that not only weighed less, reducing unsprung weight bounce, but deadened the transmission of tire-road noise to the interior of the car. A relatively simple design technology that not only looks great, but measurable increases the driving performance of the subject vehicle. Amazingly, when test driving certain variants bearing the “S” moniker, often the greatest contributor to handling “Stickiness” and transfer of engine torque to the road, is the wheel-tire combination. Such is the case with the Honda CR-V AWD Touring. That “Big” car feel and handling is accomplished with the help of Honda’s “Amplitude Reactive Damping", wheel and specific rubber compound, tire design. Yes, Mazda 5 is doing it too! 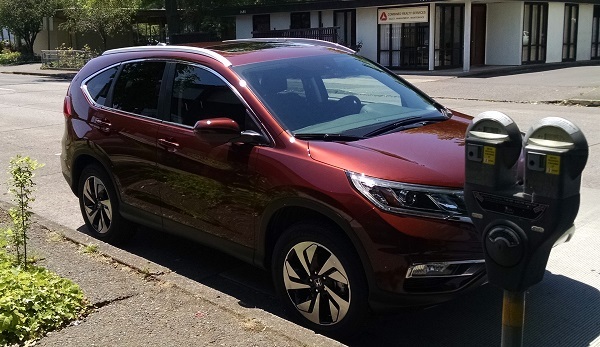 In the case of our latest drive review CR-V, we discover 18 inch alloy wheels, McPherson Strut front suspension, multi link rear suspension, motion adaptive electric power steering, and what Honda refers to as Real Time ™ all-wheel-drive with intelligent control system. All good, yet for me, where the rubber hits the road is the key to all-weather road handling performance, Honda CR-V gets us there, with a wide relatively low profile tire, mounted to some exceptionally good looking wheels. Now of course, driving through the Pacific Northwest, I see standard featured custom “Blades” on most if not all premium midsize crossovers, sedans and SUV s. It’s that “Thing’ that was lifted off of the likes of Hot- Rod builder Boyd Coddington, and is now a prevalent facet of modern fuel-efficient performance car design. Tells us about your wheels. We’ll feature your photos on Torque News.